Justin Paperny graduated from the University of Southern California, then built his career as a successful stockbroker. His practice at notable firms that included Bear Stearns and UBS, specialized in representing professional athletes and hedge funds. Some bad decisions led Justin into problems with the criminal justice system, including a felony conviction for violating securities laws. A federal judge sentenced Justin to serve an 18-month prison term. In prison he grew determined to make amends—not through talk, but through daily, incremental action. Believing others could benefit from his experience, he began documenting his journey through his daily prison blog, then through his book, Lessons From Prison. Justin concluded his obligation to the Federal Bureau of Prisons in 2009. Preparations that he made while serving his sentence empowered Justin to build a thriving career, despite the loss of his licenses to sell securities and real estate. While incarcerated, Justin practiced the lessons available through White Collar Advice. As a result of those preparations, income opportunities opened for him upon his release. He lectured in universities across the United States; he published his second book, Ethics in Motion; he became a nationally recognized public speaker for corporate America; he did work with the Federal Bureau of Investigation and Pre-Trial Service Offices; and he has guided countless others who were about to embark upon their own journey through the challenges that accompany criminal charges. Justin’s story has been featured by ABC News, CNBC, NBC News, Forbes, Fox News and Radio America, amongst others. And in June 2015, NBC Universal aired, My Deal With The Devil, a 60-minute show on Justin’s story. Michael Santos served 26 years in federal prisons of every security level. While incarcerated he earned a bachelor’s degree from Mercer University and a master’s degree from Hofstra University. Michael’s commitment to success during his first decade prepared him to write several books (including Earning Freedom and Inside: Life Behind Bars in America) that university professors use to educate students about the prison system. White Collar Advice and Prison Professors teaches lessons that empower people to live a life of relevance before, during, and after confinement. Michael Santos shows clients how to make productive use of time while preparing for success upon release. While in federal prison, Michael married his wife, Carole. Through his earnings in prison, he supported Carole. Together, they climbed through his final decade. Michael’s earnings from publishing in federal prison allowed Carole to return to school to become a registered nurse. Besides supporting his family, Michael prepared for success while in prison. Prior to his release, he saved enough money to build his business. He shows others how they can do the same. His preparations inside led to numerous business and career opportunities. San Francisco State University hired Michael to begin teaching only 17 days after he walked out of prison. Despite serving more than a quarter century in prisons of every security level, Michael Santos prepared for success. He returned to society strong, with his dignity intact. He built a career as an educator. He created digital programs that he sells to the criminal justice system and to schools. Michael serves on the advisory panel for the Robina Institute of Criminal Law at the University of Minnesota Law School. Michael’s primary focus is on creating digital content for enterprise and government clients. He also consults with people who want to prepare for the best possible outcome from struggle. He is active as a keynote speaker and trainer. To learn more, contact Michael at 415-419-1728. 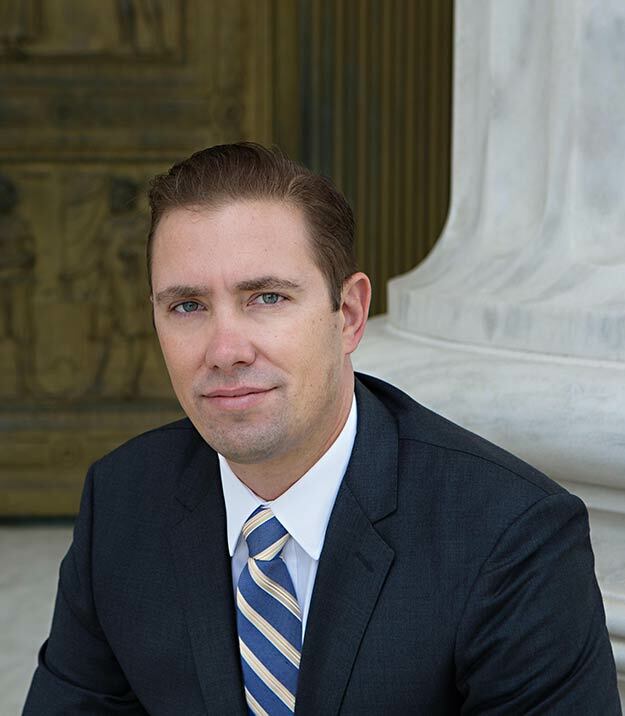 Shon Hopwood’s unusual legal journey began not at law school, but federal prison, where he learned to write briefs for other prisoners while serving a 12-year sentence for bank robberies. Two petitions for certiorari he prepared were later granted review by the United States Supreme Court, and he won cases for other prisoners in federal courts across the country. Since he became a licensed attorney, Shon’s record of success has continued. In 2016 alone, he won three federal habeas appeals before the Fourth and Eighth Circuit Courts of Appeals. Shon is currently an Associate Professor of Law at Georgetown University Law Center, which is located in Washington D.C. and is considered one of the top law schools in the United States. He is an expert on federal courts, criminal procedure (including federal sentencing), and prisoners’ rights. His amazing story about success after prison has been featured in the New York Times, Washington Post, The New Yorker, NPR, and the Seattle Times. Shon co-wrote his memoir entitled Law Man: My Story of Robbing Banks, Winning Supreme Cases and Finding Redemption. Shon is an also advocate for criminal justice reform and his scholarship on courts and the criminal justice system has been published in the Harvard Civil Rights-Civil Liberties, Fordham, and Washington law reviews, the Georgetown Law Journal’s Annual Review of Criminal Procedure, and the American Criminal Law Review. Shon received a J.D. from the University of Washington School of Law as a Gates Public Service Law Scholar. He clerked for Judge Janice Rogers Brown at the United States Court of Appeals for the District of Columbia Circuit. He then served as a Teaching Fellow at Georgetown’s Appellate Litigation Program. Rosanne Clausen is the co-founder of Strong Prison Wives & Families, a 501 c3 non profit organization with more than 50,000 members. Ro has provided extensive support and private counsel to wives, girlfriends, sisters, mothers, and family members who have an incarcerated loved one since 2008. During that time, she has also become an expert in dealing with Bureau of Prison’s policies, procedures and staff. Drawing from her own experience and the experience of thousands of Strong Prison Wife members, Ro has incomparable experience in providing expert guidance and support to women who are in a relationship with someone incarcerated. She has helped countless families find a healthy balance in their lives while dealing with the inherent challenges associated with a long-distance relationship. In addition to private coaching, Ro has produced and starred in hundreds of videos that document strategies on how to deal with nearly every conceivable situation, emotion and experience shared by all those who have a loved one that is incarcerated. Additionally, for more than five years she has collaborated with myriad prison advocacy groups/organizations, political activists, and media representatives to bring attention to the needs of citizens supporting incarcerated loved ones. On the personal side, Ro has a passion for her family, exercise and fitness. 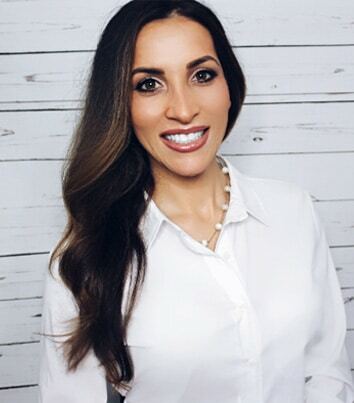 She has a degree in Sports Medicine and is the Founder of Fit Beautiful Life. She was also Former Ms. Fitness New Jersey. Husbands and wives looking to emerge from this experience successfully, should contact Ro immediately at Ro@WhiteCollarAdvice.com. I’m Justin Paperny with White Collar Advice. Since you’re on this page, I’m assuming that either you’re concerned about the possibility of serving a sentence in federal prison, or you’re concerned about someone who may be going to prison. How will this altercation influence my career and earning capacity? How will my life change if I’m sentenced to prison? How will a term of confinement influence my family members? Clearly, anyone facing such challenges should consult with a competent defense attorney. A lawyer will provide guidance to help people through the criminal justice system. Unfortunately, simply allowing a defense attorney to navigate the seemingly endless processes associated with the system may not be enough. Statistics show that problems with the law lead more than 50% of all criminal defendants into cycles of cascading difficulties. All too often, those problems come with ancillary consequences that extend far beyond the finding of guilt or sanctions that a judge may impose. Defense attorneys provide representation and counsel through those processes. Yet when advising clients who are sentenced to prison on what to expect, defense attorneys refer their clients to White Collar Advice for assistance. At White Collar Advice we provide solutions to empower individuals, helping them to regain their footing and prepare for the best possible outcome. To serve the least amount of time possible. To make favorable impressions at sentencing. To serve the sentence in a federal prison camp or the lowest possible security level. To restore confidence, establish relevance, and live a life of meaning during confinement. To return to society with a clear path to a new career. Our White Collar Advice consultants have all mastered a journey through the Bureau of Prisons, succeeding in ways what few would’ve thought possible. They returned to society strong, with their dignity intact and thriving careers. The impeccable credentials of White Collar Advice consultants are easily verifiable and totally transparent. In fact, we encourage clients to do their independent due diligence through Internet searches of our names. Clients will not find any individual or organization with more experience in mastering the Bureau of Prisons, and more importantly, returning to society strong. We teach clients how to seize opportunities and prepare for a successful journey through federal prison. White Collar Advice provides a menu of products and services that teach others how they too can prepare to make the most of their journey. We cannot change the past for anyone. Yet we absolutely can teach strategies that lead to the conquering of adversity and the restoration of dignity. Every individual has power within to build upon strengths. At White Collar Advice, we provide guidance to empower others who want to tap their strengths, to reclaim their life, to emerge from difficult experiences stronger than anyone would expect. By teaching others about every aspect of the prison system, we show them how they can prepare to minimize the downside and maximize the upside. The White Collar Advice service differs from the typical prison consultant. Many so-called prison consultants masquerade as experts, citing time they served as their credential. They sell fear, preying upon people who are more vulnerable than ever. Other prison consultants built careers working as functionaries of the prison system—former prison guards who contributed to the intergenerational failure factories. After leaving the barbed-wire bureaucracies, those former prison guards brand themselves as “prison consultants” and attempt to provide guidance on what individuals should expect while serving time. Such individuals have not mastered the challenges associated with confinement. Yet they sell services suggesting that they can advise others. We recognize that many prison consultants are distasteful, bordering on sleazy in their approach to dispensing guidance. At White Collar Advice, we’re different. Rather than offering the boilerplate information that anyone can find online, our programs guide people to success. Clients and their family members routinely tell us that lessons they learned from White Collar Advice were the greatest value they received through their unfortunate experience. Our products and services do more than prepare individuals for the journey ahead. They also restore the confidence and dignity that the criminal justice system seems designed to extinguish. Defense attorneys, criminal defendants, and those who want to learn about mastering the prison system will find White Collar Advice an outstanding resource. In addition to teaching how to prepare for prison, White Collar Advice’s programs teach individuals how to reposition themselves for a successful life.